If you read this site frequently enough to discern a variety of personas behind the reviews and recordings, you may have noted that I usually don’t go out for the big shows. A dislike of crowds combined with a simple preference for many smaller acts in intimate venues informs most of my concert-going. 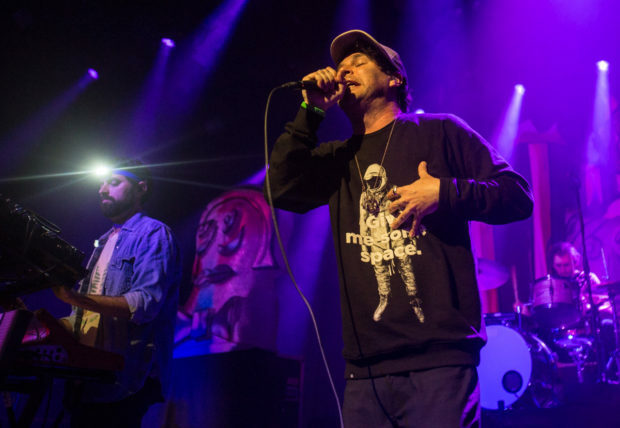 I skipped Animal Collective’s two-night stand at Irving Plaza this past February for these very reasons; however, upon hearing NYCTaper’s recording of night two I was filled instantly with pangs of regret for having missed some clearly excellent Animal Collective shows. So when the band announced their November tour stop at Terminal 5, I cast aside my usual reservations about the venue and bought a ticket—and my faith was rewarded thoroughly. Terminal 5 is a cavernous room and as NYCTaper notes the last time we saw Animal Collective there, it has the capacity to swallow up the sound. But not on this night: the sound in the venue was dialed in perfectly and the quality of this recording is a reflection of that. I couldn’t be happier with how this recording turned out and I’m sure you’ll agree. 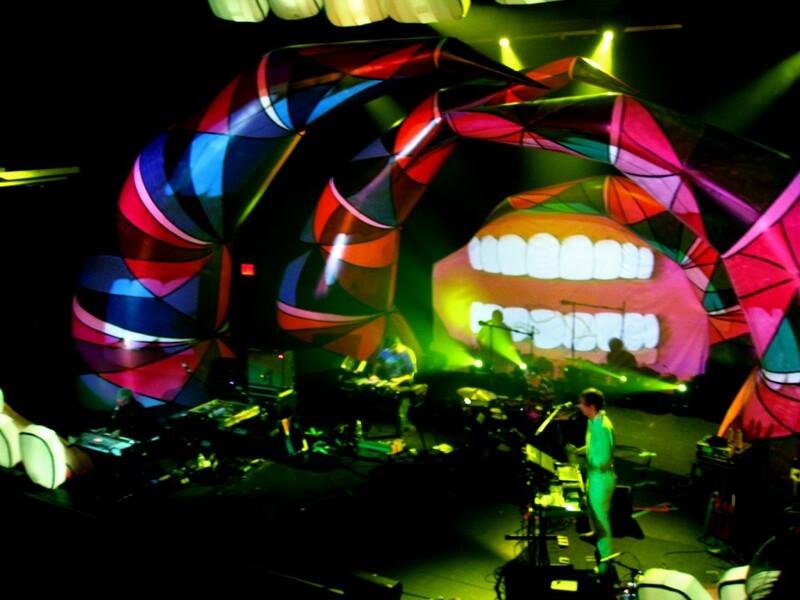 On to the music: now two albums past their breakout, Merriweather Post Pavilion, Animal Collective have made it quite clear that they won’t be content to remake versions of their most popular record over and over again. Instead they’ll push forward as they’ve been doing since the early aughts, always something new. 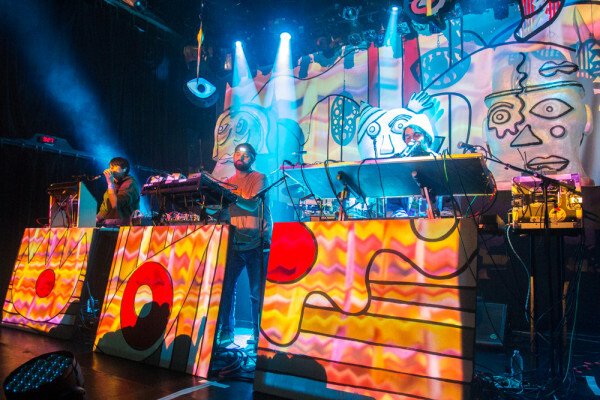 Every tour for Animal Collective is different, but the trend for the last few years since Centipede HZ is towards their jammy side with lengthy transitions between songs (here including a nod to the Dead’s “The Other One” and also a short burst of Panda Bear’s “Drone”). 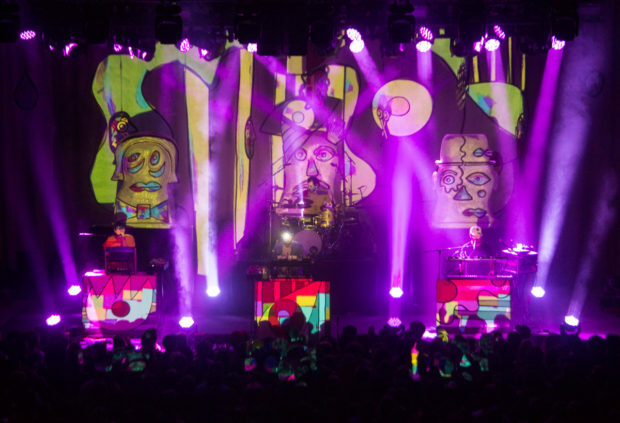 Animal Collective has become of those bands you need to revisit each tour to hear the new arrangements of songs you’ve heard live before plus out-of-the-blue setlist additions you never would have imagined (like “Bees” on the last tour or “Kids on Holiday” here). This nearly two-hour show captures nearly all of the band’s current setlist and is a pretty much perfect document of the current tour. Speaking of which: the tour is still going on and you’d be a fool to miss out. Do it. I recorded this set with the AKGs clamped at the lip of the balcony, directly over the sound engineer’s head. The quality of this recording is simply stunning. Enjoy! Download the complete show in a variety of formats at the Live Music Archive.